Pack 88 accepts membership of both boys and girls in grades K-5 in the greater Montoursville area. Most of our members live in Montoursville, but some live as far away as Linden and Montgomery. There are no deadlines to register. You can join at any time during the year. 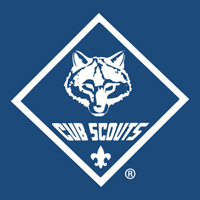 The Cub Scouting program year starts in September and ends in June. However, Pack 88 continues to have exciting events year-round. We do our best to catch up any scouts joining mid-year. We have never had a scout not advance if they want to. Of course, adults can join too. In fact, it is recommended that all parents register if they will be attending meetings and events. There is an adult position to fit every participation level. Select either Youth or Adult for membership information.